Our 12-step process ensures quality and consistency in every batch. Education and innovation within the cannabis industry and community is our top priority which contributes to our dedication to excellence. We hope you love learning about our thorough process just as much as we love educating about it. We’re meticulous about what goes into our leading formula so we only use cannabis that’s been responsibly cultivated by licensed growers. This is where we turn the raw plant matter into a concentrated oil using industry-leading CO2 technology. This first test ensures zero pesticides, microbio, or residual solvents are present. This process removes any leftover and unwanted plant matter (including fats and waxes) by freezing it at sub-zero temperatures and then filtering those particulates through an ultra-fine filter. This step isolates the THC, CBD, and other key cannabinoids by carefully heating the purified oil in a reduced atmospheric pressure and then rapidly cooling it, condensing pure cannabinoids. As the purification level increases, so do the number of tests. This test is responsible for confirming the potency of the now extremely concentrated oil. Now we’re left with 100% pure cannabis-extracted cannabinoids. This batch is now ready to be precisely blended into each of our unique formulas. For a consistent experience every time, no matter the batch, the distilled cannabinoids are re-introduced with all-natural terpenes using precision lab equipment to ensure precise measurements. Our third test ensures that after blending our formula and before filling our cartridges, the mixtures have been blended perfectly and have a perfect balance of terpenes and cannabinoids. Our expertly blended concentrate formulas are then filled into our state-of-the-art C-cell cartridges using calibrated machines to ensure a perfect fill every time. Our last test is required by state law to confirm that finished products are 100% compliant. After we’ve hand-packaged each product, we send them out to only the best dispensaries across California for you to access any time. 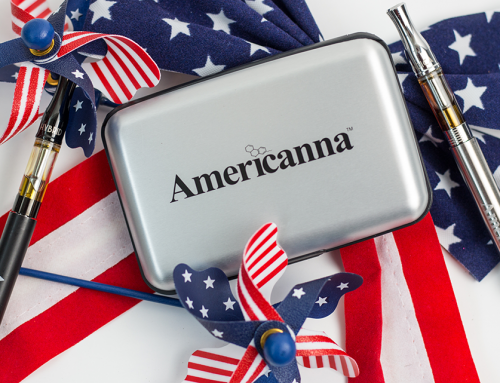 Are you loving the Americanna process and Americanna products? 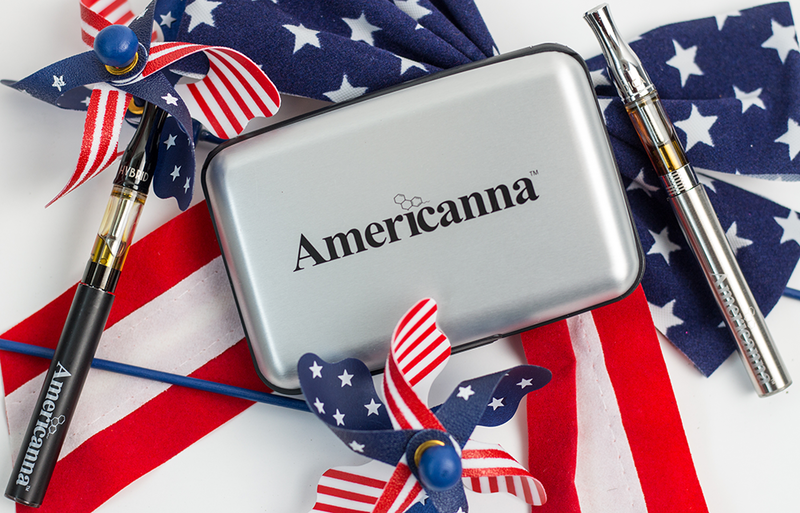 Find Americanna products at all of the finest dispensaries in California.